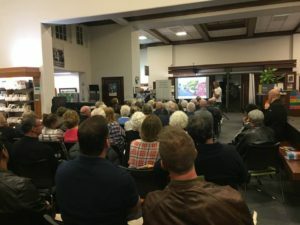 Minutes of Remuera Residents Community Meeting, 11 April 2019 – Remuera Residents Association Inc.
AT REMUERA LIBRARY, APRIL 11, 2019, COMMENCING AT 7.30PM. Chairman Iain Valentine introduced RRA Committee members present: Coralie van Camp (Deputy Chair), Jan Bierman, David McAuley and Lynley Olsen. Orakei Local Board members: Troy Churton, RRA liaison contact and David Wong. Remuera Business Association: Adrian Barkla (keynote speaker), owner/operator New World Remuera and chairman of the RBA, and Shelley McArthur-Dye. An audience of 70+ in attendance. Keynote speaker Adrian Bakla, owner/operator New World Remuera and chairman of the Remuera Business Association, was introduced. Adrian began by thanking everyone who attended his NW Christmas parties and gave a brief history of the event. a) Clonbern Road carpark. Adrian presented an overview on the carpark’s history and why Council/Auckland Transport had deemed it unsafe for vehicles to park on the upper level. Auckland Transport has refused to accept liability after concerns of falling concrete and water damage had compromised loading safety. AT had not engaged engineers to undertake the necessary tests to back-up the safety claims. Adrian (backed by Foodstuffs) organised tests himself and it was concluded that the upper level could withstand loadings (and more) and negotiations have begun with the carpark owner, Panuku, to lease it and take over the liability concerns. b) Other negotiations with Panuku involve future development of the parking and supermarket sites, including the small walkway between. Any future development could also increase car parking and include the laneway beside the Village Green. Adrian also talked about developer Greg Wilkinson’s ownership of both sides of the Village Green. Mr Wilkinson is considering developing the quadrant like a Ponsonby Central, with a mix of boutique businesses and eateries. Ideas are still in the visioning stage. Iain spoke to a RRA request for a pedestrian safety refuge to be installed on Remuera Road, outside Library. Queried AT’s agenda re removal of further carparks where verandahs cut back. Z Energy site sold to Bayleys Real Estate. Due to the necessity for site cleanup it is expected to be sometime before their office at 50 Remuera Road Newmarket will be re-located there. Parking at ANZ/Post Office carpark now charged via an App – $1 per hour, $8 per day and $40 week to lease. Sign now displayed on how to pay. Iain then welcomed Desley Simpson who thanked Iain and Adrian for the excellent update and work done for the Remuera community. Desley spoke of AT not understanding how road closures affect people, eg. closed one lane on Parnell Rise with one week’s notice. Council wants AT to give a minimum one month’s notice of any work, with evidence to justify, going forward. Developers must be told where they can park either on site or where not affecting traffic flow. Iain asked about the sale process of 4 Victoria Avenue. Our facilities now being transferred to Meadowbank. Surplus proceeds from sale yet to come back to Remuera. In recent Local Board Minutes mention was made of a targeted rate for Remuera for community facilities which was surely a mistake!? Developer behind No. 4 needs the property to make his development work. Desley replied nothing had been finalised on the sale but transparency on the process was required. On the matter of the Orakei Bay Village the Private Plan Change was rejected by the Governing Body. Developer proposed moving building 15 metres further west closer to water’s edge. Desley could not comment as confidential negotiations with the developer continue. Troy Churton confirmed it may be publicly notified if no agreement reached. Orakei Basin walkway is under construction ignoring concerns from residents expressed to the Orakei Local Board about management and governance. Engineering flaws will ensure drainage problems will be not solved. AGM, Thursday 27th June, 7.30pm at Remuera Library.